File photo of Navin Shenoy, executive vice president and general manager of the Data Center Group at Intel Corporation. Sharing their vision at the recently-concluded Data-Centric Innovation Summit, Intel announced that they had made sold $1 billion of artificial intelligence processor chips last year. Intel’s Xeon processor, whose first ancestor was launched 20 years ago. Now, the tech giant announced that more than $1 billion in revenue came from customers running artificial intelligence on Intel Xeon processors in the data centre. 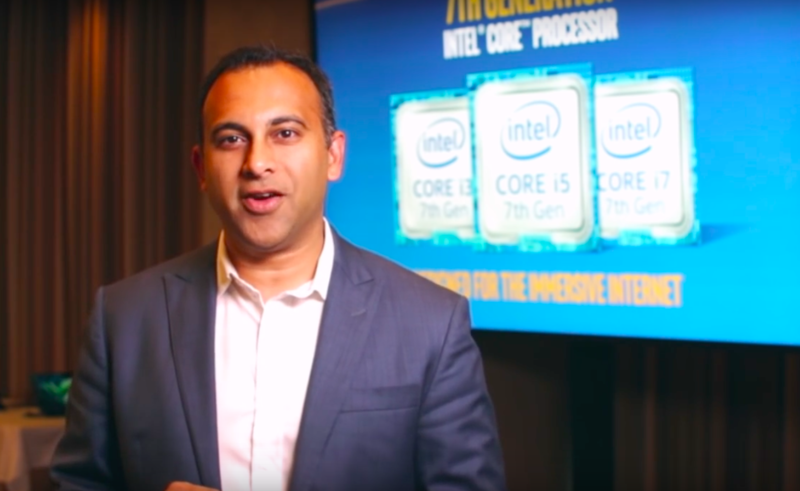 “Our investments in optimising Intel Xeon processors and Intel FPGAs for AI are paying off… In total, since 2014, our performance has improved well over 200 times,” said Navin Shenoy, executive vice president and general manager of the Data Center Group at Intel Corporation. Naveen Rao, head of Intel’s artificial intelligence products group told Reuters that the revenue generated from the AI chips could definitely be on a higher side since they had given out only modest estimates. Shenoy added that the company has shipped more than 2 million units in 2018’s second quarter. In fact, in the first four weeks of the third quarter, Intel has already shipped another 1 million units. “We’ve entered a new era of data-centric computing. The proliferation of the cloud beyond hyperscale and into the network and out to the edge, the impending transition to 5G, and the growth of AI and analytics have driven a profound shift in the market, creating massive amounts of largely untapped data. And when you add the growth in processing power, breakthroughs in connectivity, storage, memory and algorithms, we end up with a completely new way of thinking about infrastructure. I’m excited about the huge and fast data-centric opportunity ($200 billion by 2022) that we see ahead,” added Shenoy.